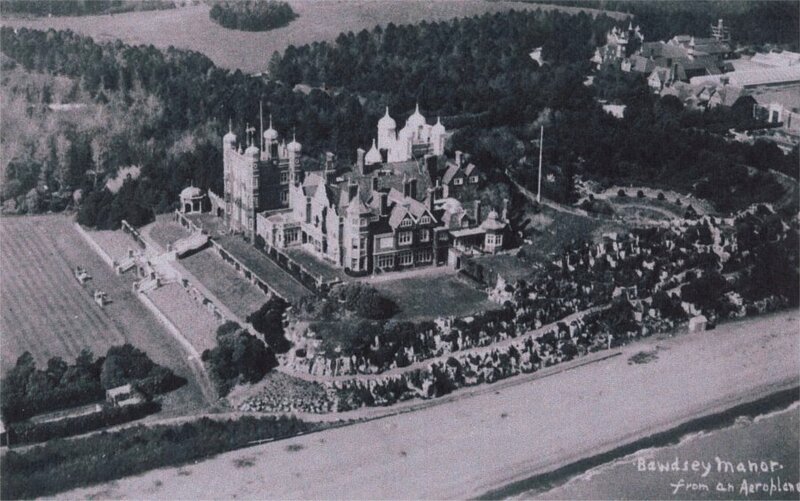 Sir William Cuthbert Quilter – a stockbroker, financier and Liberal-Unionist MP – moved to Bawdsey in 1886, and built himself a fine new mansion commanding a splendid view overlooking the sea. He commissioned James Pulham and Son to create a number of features in the grounds, including a ‘round garden’ where an old Martello Tower used to stand; a water garden and a rose garden. His wife, Lady Quilter, is thought to have acted as ‘Head Gardener’. The estate was situated on a cliff top, and a unique Pulham feature here is a Pulhamite ‘cliff face’ about 300 yards long, and 40ft high, with a path running along the length of it, about half way up. It is also very likely that they provided the balustrading and terracotta ornaments that adorned the gardens, although very few of these now remain. A full description of the work done by James Pulham and Son at Bawdsey Manor – together with a number of pictures – can be found in Chapter 19 of Rock Landscapes: The Pulham Legacy – the critically-acclaimed and lavishly illustrated definitive story of the lives and work of James Pulham and Son. Written by Claude Hitching, with featured photography by Jenny Lilly. Published by Garden Art Press. Posted on September 6, 2014 June 26, 2016 by Claude HitchingPosted in Book ContentsTagged . . James Pulham and Son, Bawdsey Manor - Suffolk, Claude Hitching, Pulhamite Cliff, Rock Landscapes: The Pulham Legacy, rose garden, Sir William Cuthbert Quilter, water garden.